“Bloom” is the fourth full-length album by Beach House. Like their previous releases (self titled – 2006, Devotion – 2008, Teen Dream – 2010), it further develops their distinctive sound yet stands apart as a new piece of work. The landscape of Bloom was largely designed on the road, between the countless sound checks and myriad experiences during two years of touring. Throughout this period, melodies, chords, rhythms, words, and textures surfaced in moments of their own choosing. These spontaneous ideas were later gathered and developed in Baltimore, where the band lives and works. Bloom was then recorded in late 2011 over a period of seven weeks at Sonic Ranch Studios in Tornillo, TX and mixed for another two at Electric Lady in NYC. The band co-produced the record with Chris Coady. Beach House is Alex Scally and Victoria Legrand. They live in Baltimore, Maryland. Beach House's decision to call this record Bloom is almost too perfect. Over the course of four albums that's exactly what this band has done. Two people from Baltimore started by making incense-smelling, curtains-drawn bedroom pop. Now, eight years later, they make luminous, sky-sized songs that conjure some alternate universe where Cocteau Twins have headlined every stadium on Atlantis. "Bloom" is also what these 10 songs do, each one starting with the sizzle of a lit fuse and at some fine moment exploding like a firework in slow motion. The word captures the music's slow sonority: the round, gleaming edges of Alex Scally's arpeggios and how, in Victoria Legrand's unhurried mouth, all words seem to have a few extra vowels. And here we thought they'd already bloomed. Two years ago, Beach House put out their first great record, Teen Dream. Brimming with lush sadness and lyrics that painstakingly documented the evaporation of a love ("It can't be gone," Legrand gasped on "10 Mile Stereo", "We're still right here"). Teen Dream was a break-up album, a clearer and more assured exploration of the exquisite, minor-key feelings the band had been mining since their self-titled debut. It felt like such a complete realization of the band's potential that it had to make you wonder-- a little worried, even-- where could they possibly go from here? Bloom suggests that this is the wrong question. "I hate it when bands change between records," Scally admitted recently. "[T]hat's not the way we work." And he's right: Beach House haven't changed, or at least not much. Bloom doesn't stray far from the structure or the emotional tenor of its predecessor. It finds the band making small, sharp adjustments to its craft, but these shifts are so subtle it takes a few listens for them to sink in. The songwriting is tighter, yet the atmosphere feels more diffuse; the lyrics are more straightforward, yet they're somehow suggestive of larger things. By just about every measure, Bloom's wingspan is fuller than anything Beach House have done before. Much of the power of Beach House's music lies in the way it forgoes simple, this-means-this storytelling in favor of communicating indescribable emotions. Still, Bloom has a definite thematic fascination with idle youth and the bittersweet residue that remains once it's gone. "Troublemaker" looms with the threat of bad romance, and the brazen, epic "Wild"-- one of their best songs yet-- conjures teenage feelings of boredom, broken homes ("Our father won't come home, 'cause he is seeing double"), and the inordinate amounts of faith placed in the things that take someone out of those particular hells ("That's when your car pulls up, its hood is black and gleaming"). Legrand's ethereal contralto huffs so much life into her lines that even lyrics that look plain on the page take flight. Throughout, Legrand and Scally sound in perfect sync: his nimble riffs punctuate her long, drawn-out notes to add depth and layered rhythm to the tracks. Toward the end comes a mid-tempo, quietly spectacular song called "Wishes", on which Legrand sings about "the moment when a memory aches." It might be tempting to call that feeling nostalgia. But the sort of nostalgia Bloom employs feels so distant from the definition that word has taken on lately when we talk about music. What they do feels not just wonderfully self-contained but improbably intimate: It's a huge testament to Legrand and Scally that, although they're one of the most popular bands in the indiesphere at the moment, their music still has the hushed air of an overheard secret. Filmmakers call the part of the day right before the sun goes down "the magic hour." It's that brief moment when the waning daylight causes everything to take on a holy, hazy glow. It took Terrence Malick about a year to shoot his 1978 movie Days of Heaven because he insisted on filming only during this time of day, but the results perfectly capture and distend that dizzy, overripe feeling of right before something very good ends. Bloom does that, too. "What comes after this momentary bliss?" Legrand wonders on "Myth". It's a question Beach House don't seem interested in answering any time soon. Because that's become their signature magic trick: stopping time right before the sun disappears over the horizon, tricking you into believing a feeling can last forever. 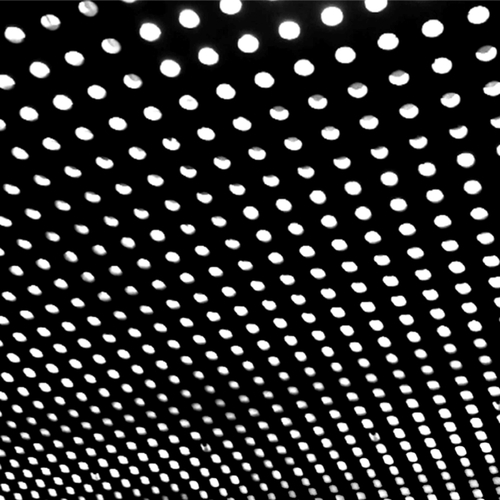 Unfortunately at this time we can't offer all the Beach House - Bloom tracks as individual wavs, as some of these tracks exceed the shops maximum (9mins) download length.